Makes sense and I think that these lessons and ideas are true for a lot of technologies. If the OAuth community were to attack this list, what order do you think makes sense? Is a validator the most important thing to build first? Actually I think the first step should be a good recipe guide and a companion “transparent provider” that the recipe uses. It would take the user through getting/writing a library, hitting a basic “hello world” up to a more complex API call, and it would provide lots of detail and feedback at each step. The idea is, we could tell developers to “first get your code working against this extra-friendly OAuth API, and then turn it to twitter or whoever else you want o hit, since then you'll be confident that it at least works in theory already.” And yes, I agree that these types of developer aids are necessary for all the Open Stack building blocks! A bit like your OpenID recipe that you wrote a few years ago. We're planning to write this sort of guide for our book, but haven't started on the OAuth content yet. Joseph, I totally agree. As someone who works on OAuth code every day (mostly working on SDKs to access Yahoo! 's OAuth protected social resources), OAuth seems pretty simple to me. However, as we've all seen, users don't have the same experience. Consumers are buggy, providers are buggy and OAuth itself is just plain complicated to understand for someone who just wants to execute a bit of YQL that performs an image search. Feel free to get in touch with me, I'd love to help in any way I can. I'm particularly interested in the transparent OAuth provider and OAuth validator. Given my role at Yahoo!, I might even be able to convince the powers that be that it's a good idea for me to spend some of my work time on such an effort. Ryan-sounds great, and I'll definitely take you up on that offer! 😉 It's clear to me that a little extra time and effort by people like you and me whose jobs and companies depend on OAuth being easy to make it so will be a wise investment indeed. I don't know, personally I never found OAuth hard so much as just new. The problems that people are facing aren't so much with the hows, as Winer had the hashing and such correct, but didn't understand that concepts as to why certain things were being done. I grokked OAuth after looking at the Yahoo! OAuth guide which displayed a graphic of the handshake process and was clear to me how to move from unauthorized to authorized and authenticated. Why don't we have a dinner in March to discuss? A “transparent OAuth Provider” is exactly what I was looking for when I started trying to help Dave, too. 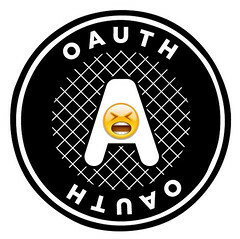 I've not yet had the chance until now to dive very deep into OAuth myself, and it's very easy to get one thing inexplicably wrong (eg. not url-encoding all the right parts) and have no clue what you got wrong because the signatures are necessarily so opaque. Would be nice if the “training wheels” of a transparent provider could take all the client-side key/secret and duplicate the expected work for the client side as a cross-check. I think that all these ideas make perfectly sense, it would be ideal if recipes were collected for all of the OAuth libraries (i mean: having a version of the recipe for each library out there…). I followed your comment on Dave Winer post. Just thought I would mention it. The Google OAuth playground is the one thing that finally got me to understand the process, since its interactive showing the requests, headers, tokens and responses. Thanks for presenting this action list. I agree that these will tremendously improve the developer accessibility for OAuth. Regarding terminology confusion, that's very true with the sheer number of tokens coupled with possibly name collision with app-specific parameters (which could be called “api_key”, or “secret”). It makes it so easy to get a typo or function parameters swapped. On FireEagle, two different access tokens (user-specific and general access) are used, which may make things worse. I haven't dabbled in OAuth much, but my first experience was implementing the Fire Eagle widget on MojiPage. We use the Python OAuth library, and provide useful abstraction for the widget (also written in Python) so that it needs only call a few functions. Debugging was a tad harder than the usual web app, but it was a smooth ride on the whole. The explanation as to where to include variables, whether it be in the header, or whether it be in the post, or what-have you, its very cryptic and frustrating as everyone seems to think the concept of hashing and passing back keys is the difficult concept. It’s not, formatting the requests properly is and so far I have not come across a decent explanation or even a fully reasonable testing ground with one exception based on a single twitter implementation. Hashing is handled by the OS, there is nothing difficult about it. I currently see it as a general failure on the part of the people doing the dumbing down in their explanations while failing to provide the specific details on their formatting for specific functions. I am sure my opinion will change when I am done sorting through pages of code to figure out what it was the guy writing the service instructions actually meant to say. Meanwhile, facebook connect explodes, and everybody who thought an overly complex protocol versus a straightforward secure process was the right path to choose can milk another fat paycheck. It’s now June of 2011 and I’m finding it very difficult to get an api interface figured out!